Vélez Málaga is the capital of the Axarquía region. One of the most important municipalities of the province of Malaga both by number of inhabitants and its historical and cultural heritage. 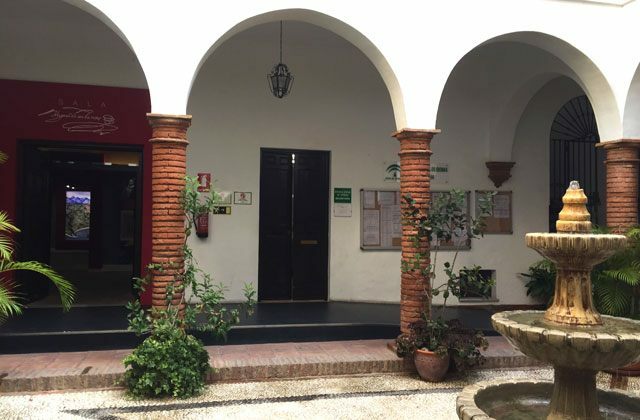 It was the birthplace of María Zambrano, one of the most important thinkers of the 20th century and was place of residence of Miguel de Cervantes. Some of the stories included in El Quijote take place in Vélez-Málaga. Among them are El Cautivo and Persiles and Segismunda. It was also the place of birth of Juan Breva, one of most important flamenco singers in Malaga. The municipality of Vélez-Málaga includes a total of 12 population centers. The main one is in the center, located in the valley of the river that gives it its name. Between the Hill of San Cristobal and the hill of the fortress on which only a replica of its Tower of the Homage remains. Torre del Mar is the most important population center of those located on the coast. Also known as El Trapiche, where the Buddhist stupa Karma Guen, visited by the famous actor Richard Gere is located. 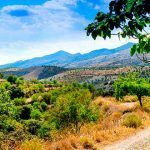 If you want to know what to see and what do in the municipality of Vélez-Málaga, here are some suggestions. Most of the historic-artistic patrimony is located in the historical center of Vélez-Málaga. In the framework of streets and squares of the old town in the center of the municipality. Most monuments and places of interest in Velez-Malaga are closed to the public on Mondays. There is a popular tradition that Miguel de Cervantes was a guest in this 16th century manor house. And that an alleged illegitimate son of King Philip IV, who was bishop of Malaga in the 17th century, was born there. Its facade and its patio with columns and gallery of triple semicircular arches caught the eye. This convent was built by the Catholic Monarchs, next to a church built on an old mosque. The bell tower of the church is the minaret of said old mosque. The convent had two cloisters. 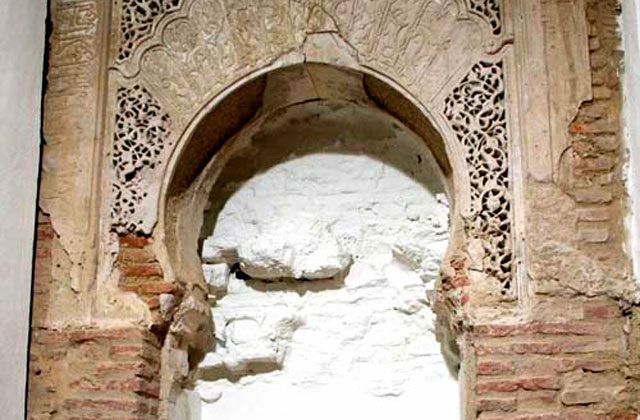 Now only one of Mudejar style of the 16th century remains. Built in the early 17th century, this palace shows a beautiful façade, central courtyard with marble columns and a magnificent coffered ceiling on its imperial staircase. It is the most important civil building in Velez-Malaga, for its beauty and grandeur. 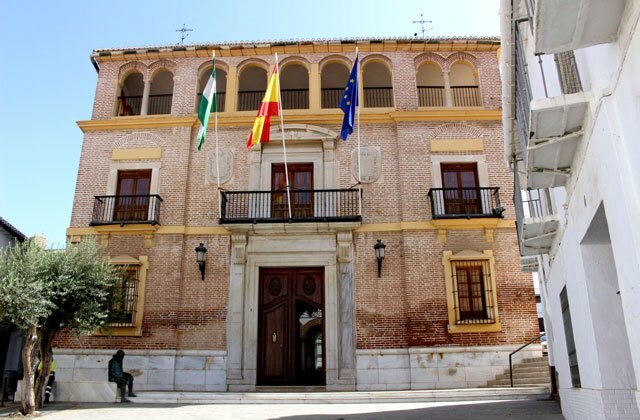 Today is the headquarters of the Culture Council of the City of Vélez-Málaga and of the Maria Zambrano Foundation. Mihrab belonged to a period mosque; today, is a tourist information point. You can visit during its opening hours: Monday to Sunday from 10 a.m. to 2 p.m. and from Monday to Saturday from 4 a.m. to 8 p.m. Holidays in the morning. 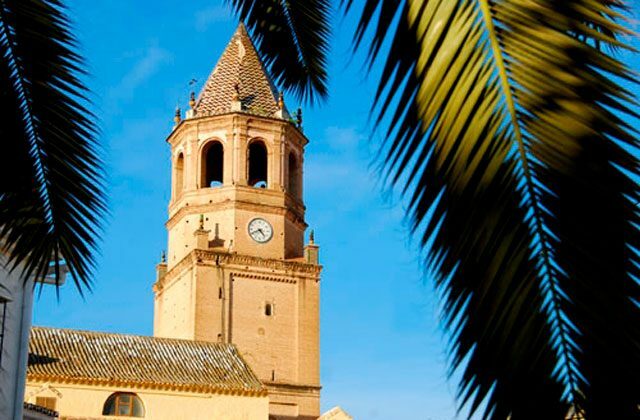 It has an impressive bell tower of the XVI century. This church was built on an old mosque in the late 15th century. It has undergone different reforms throughout its history. The Mudejar Gothic style was the first used for its construction. Then it went into the neoclassical style. 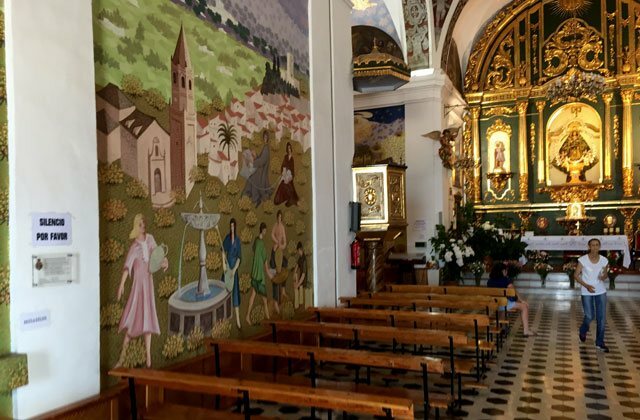 Its main altar shows a large mural by the Velez painter Francisco Hernández. The Royal Gate of Villa is one of the three ancient gates the city had. Together with the walls, it marked the limits of the city until the 13th century. This gate was the so-called Malaga gate. 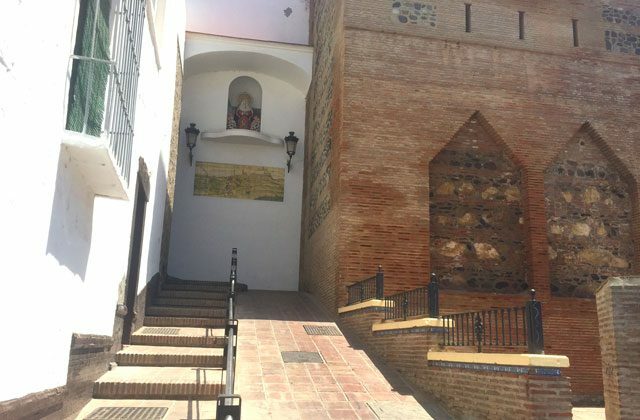 It was integrated in the city center of Vélez-Málaga in the 14th century. 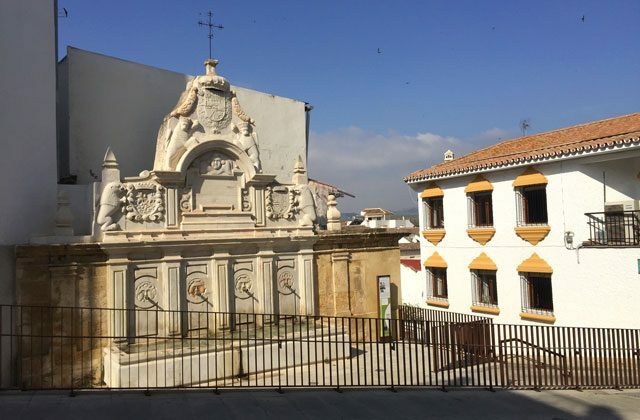 It’s a 16th century marble fountain, originally located in Plaza de la Constitución. Today it is located on the street Las Tiendas. The fountain has also undergone variations in its decoration. The classicism of its structure stands out against its neoclassical decorative elements. Small temple built in the 17th century in what today is now known as Calle de Las Tiendas. In addition to the Virgen de la Piedad, it houses the image of the Nazarene. A church built in the 16th century, following the Gothic Mudejar style. It was raised on an old mosque. 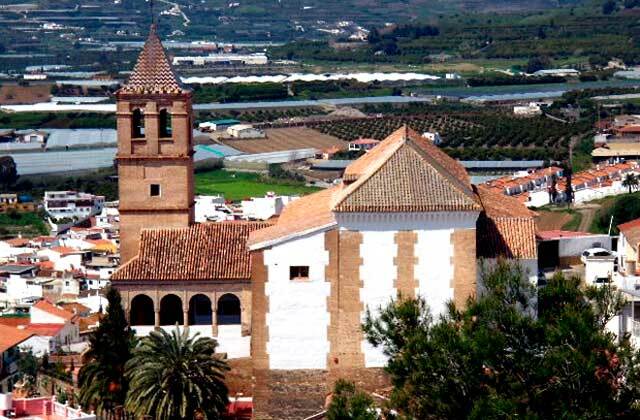 It exhibits a beautiful altarpiece in its main altar and its Mudejar armor. 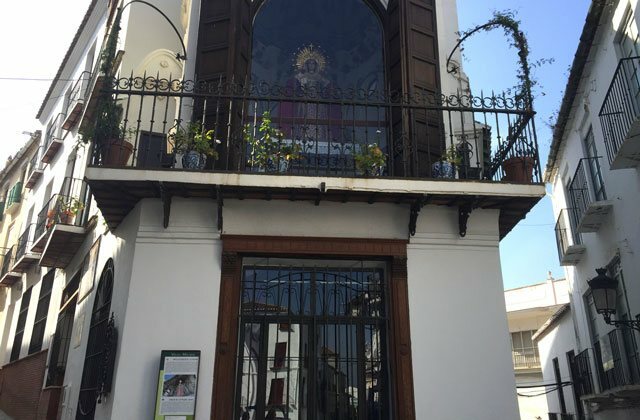 Today it houses the Holy Week Museum of Vélez-Málaga. Former Hospital of San Juan de Dios, founded by the Catholic Monarchs. 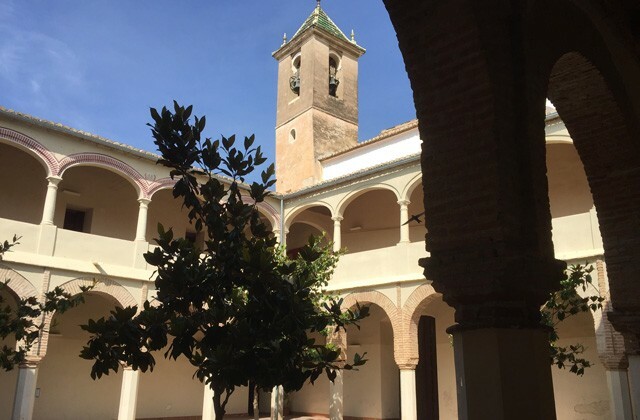 In addition to a church, it has a beautiful Mudejar courtyard, with a low arched gallery. The hermitage is located at the top of the Hill of San Cristóbal. A privileged place for magnificent panoramic views. If you want to enjoy the most spectacular views, go up at night. The hermitage was erected in the middle of the 17th century. Its highlights include frescoes that decorate the interior, works by the Venezuelan painter Evaristo Guerra. In addition to visiting the most interesting monuments and places, in Vélez-Málaga you can also enjoy a rich and varied cuisine. In many places you can spend some time listening to live music, attending a play or contemplating exhibitions of different artistic disciplines. It’s a restaurant-bar specialized in grilled meats, with a good wine cellar. Their tapas menu is very extensive. They offer you a complimentary tapa if you order a drink. In summer the restaurant organizes concerts of music with different styles. 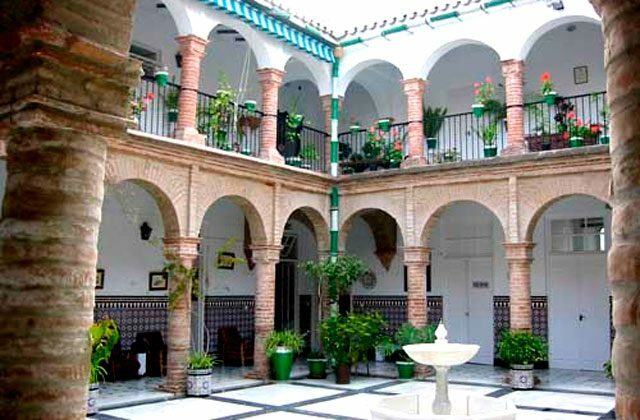 The place reminds you of a typical Andalusian house, with internal courtyard. In addition to its interior lounges, it has a magnificent patio. It is the headquarters of the Peña del Atlétic Club de Bilbao in Vélez Málaga. A meeting place for journalists and other well-known personalities from the world of sports. This establishment has been open to the public for 40 years. It specializes in fish and seafood, offering a wide variety of tapas, as well as a varied menu of typical cold and hot homemade dishes. 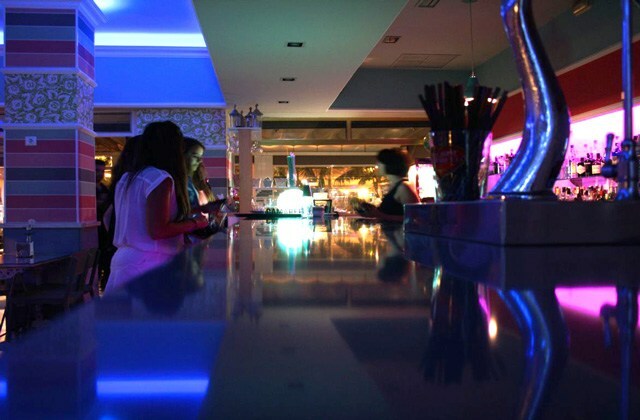 A family business that has three establishments in Vélez Málaga. In the premises located in the old town of Vélez-Málaga they serve a wide variety of dishes made with seasonal products of the best quality: sausages, roasted meats, potato grills, varied salads, grilled meats and delicious desserts. 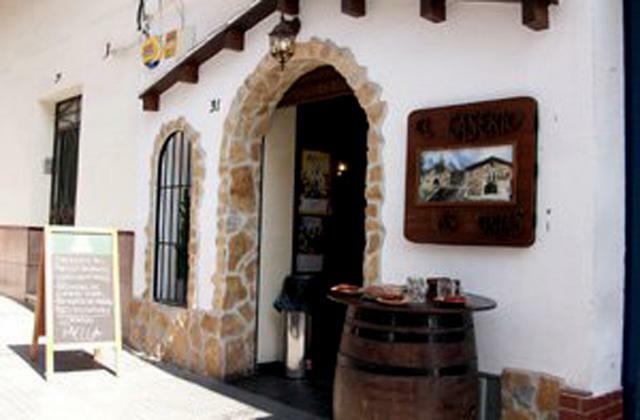 This tapas grill is located next to the old walls of the village. 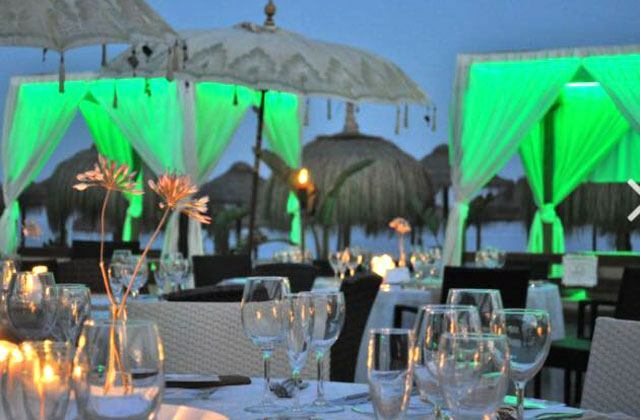 A great place to enjoy a good meal, dinner and drink in front of the sea. You can also enjoy all the services offered by the beach club. Live music, massage service, Balinese beds. It opens every day from 10:00 a.m. to 3:00 p.m. It is located on the Paseo Marítimo de Poniente in Torre del Mar. 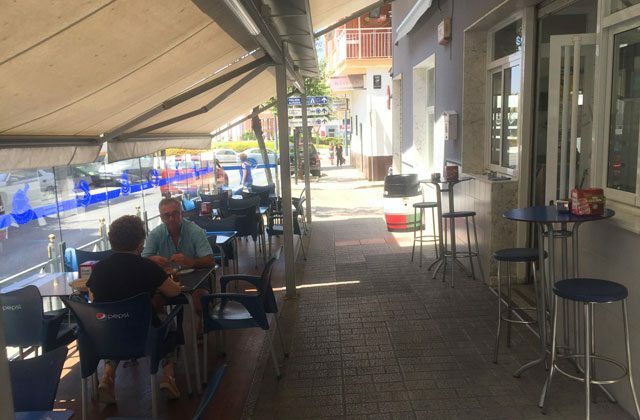 Other restaurant located on the Paseo Marítimo in Torre del Mar. It opens all year round and offers a wide variety of dishes of international Mediterranean cuisine. It also has an extensive cocktail list. 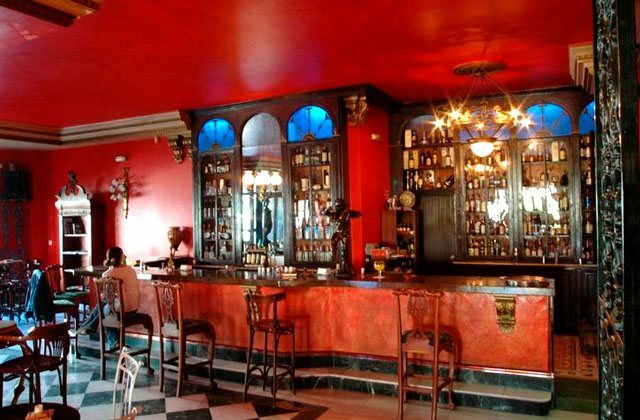 A classic-style place, where you can enjoy a good drink, in a quiet environment. It also offers a varied program of leisure and culture activities throughout the year. Concerts, painting and sculpture exhibitions, performances of plays, book presentations… It opens every day, from 15:00. On weekends it closes at 03:00am. The rest of the week closes at 02:00. Here you can enjoy one of the best gintonic in the province of Malaga. Not in vain it received the Prize to the Best Gintonería of Malaga. 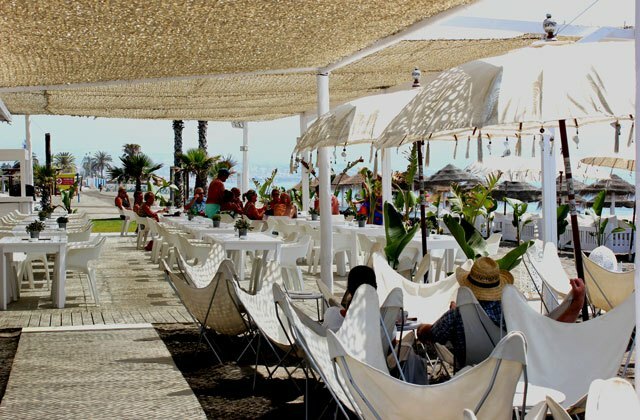 In this place located a few meters from the Paseo Marítimo of Torre del Mar, you can also enjoy delicious breakfasts and snacks. All this in a cozy, modern and with an avant-garde touch. 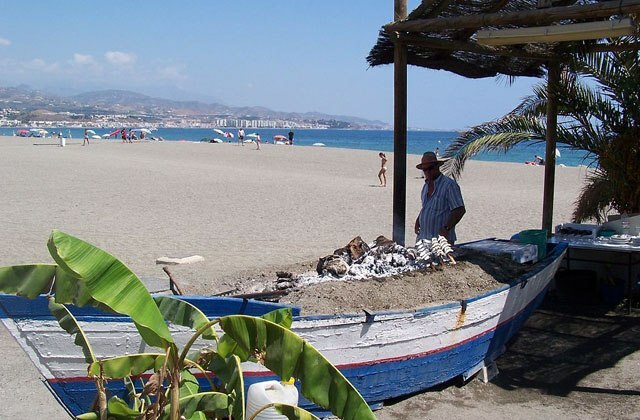 Another of the things you can do in the municipality of Vélez-Málaga is to enjoy its beaches. The ones in Torre del Mar, Almayate, Benajarafe, Chilches, Lagos and Caleta de Vélez. 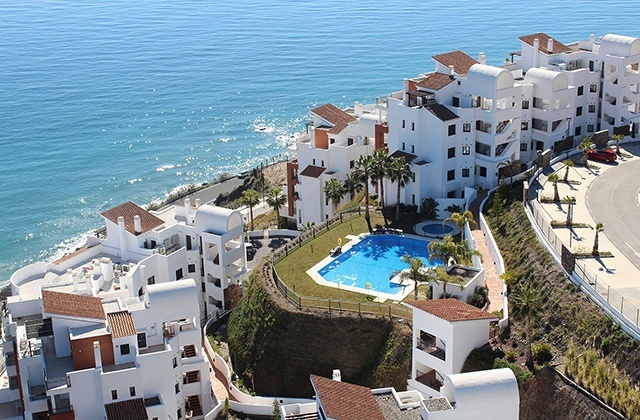 The last one is next to the Port of Caleta de Vélez, ideal for those who enjoy water sports. Vélez-Málaga also has an extensive cultural agenda. Exhibitions, concerts, theatrical performances… Many of these activities take place at Teatro del Carmen. In Vélez-Málaga you will find one of the great commercial centers of the province of Cadiz, El Ingenio Shopping Center. 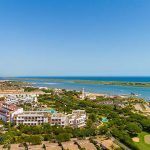 It is located halfway between the main town of Velez and the urban center of Torre del Mar. Besides having shops such as Zara, Cortefiel, Primor…, the mall also has a large supermarket, cinemas and restaurants. Of the markets opened in Vélez-Málaga, the most varied and visited by tourists is the one that takes place on Saturday mornings in Caleta de Vélez. Vélez-Málaga is 97.6 km from Marbella, along the A7. The estimated time of the trip by car is little more than an hour. Vélez-Málaga is located 38.9 km from Málaga, on the A7. The estimated time of the trip by car is little more than half an hour. 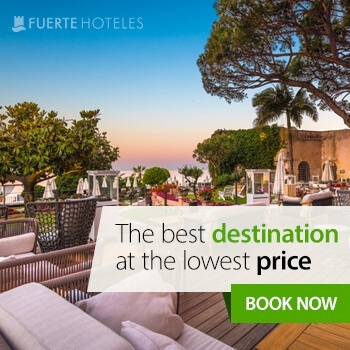 Ólée Holiday Rentals apartments are found on a perfect spot on the western Costa del Sol, between Torrox y Nerja, typical Andalucian towns with the best weather in all Europe. The 79 apartments that make up the complex, have air conditioning, a wide living room with satellite TV and modern kitchen equipped with an oven, dishwasher, washing machine and dryer. Some of them have a balcony and wonderful views to the Mediterranean Sea.